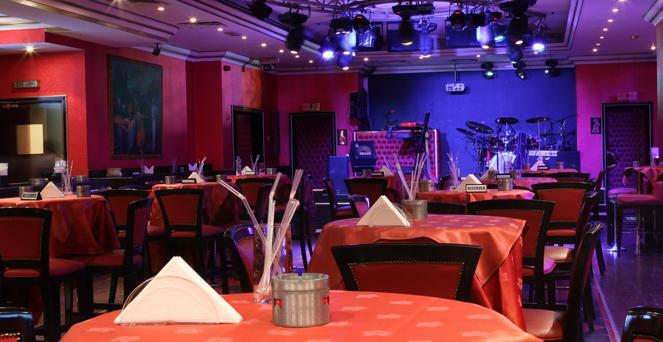 If you are looking for a fun night out in Deira with your friends or colleagues, then Red Square Nightclub is a perfect place for you. This superb Russian nightspot offers so much under one roof that is hard to find elsewhere in the locality of Deira, Dubai. Live band can be seen in action on the stage of the Red Square Nightclub, after which Dj takes over and pushes guests to the dance floor with his dancing numbers. Excellent sound system and superb lighting also has good role behind pulling the guests to the dance floor. Tastefully and stylishly decoration of Red Square Nightclub’s interior makes this place really look like a party place, as it was designed by keeping true party devotees in mind. Plus a decent selection of alcohol is also available at this nightclub that is enough to turn on your party mode. As stage is set up at this nightclub where you can enjoy live performances from famous bands. Aside from this local Dj also play music in Red Square Nightclub and guests can dance on their tunes on the dance floor that has ample space to accommodate a good number of clienteles of this establishment. Excellent sound system is installed in this facility along with big screen TV, which will make party-goers experience even more memorable. The fun at Red Square Nightclub does not just end here, as parties on any venue are incomplete without selection of alcoholic beverages and this nightspot maintains a good stock of such drinks. The party at Red Square Nightclub begins at 7:30 pm and nibbles all the way till 3:00 am on each day. Moscow Hotel, Al Maktoum Street - Dubai - United Arab Emirates. 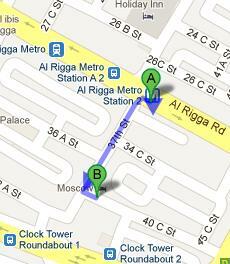 Walking distance of Red Square Nightclub and Al Rigga Metro Station 1 is just 290 meters that can be covered in roughly 3 minutes, if a metro user heads northwest on Al Rigga Road towards 37th Street, then turn left onto 37th street and after that make a left turn onto 40 C Street to locate the destination on the left side. Take bus number C9 and arrive at Al Rigga Metro Station A 1 – Dubai bus stop in order to get to Red Square Nightclub in Moscow Hotel, as it is just 300 meters away and 4 minutes walk. All bus user need to do is to head in the southeast course on Al Rigga Road towards 37th Street and then turn right onto 37th Street. This will guide the bus user to a left turn that goes onto 40 C Street, where this nightclub is located on the left side. See the map for directions.